If your PC is anything like mine you'll be interested in today's great giveaway which comes courtesy of TuneUp. TuneUp Utilities removes system clogging data from 150 programmes and removes data traces from 25 browsers on your laptop, tablet or PC, increasing performance, creating more storage and reducing start-up time - all in just 25 minutes. Security: All versions of Windows store temporary files and logs. These sometimes contain sensitive information, including passwords. A regular clean up of these files is essential in order to protect your privacy. Reliability: We've all experienced the blue screen of death. Often, these crashes can be attributed to having too much junk on our computers. Removing this junk can't guarantee your computer won't crash, but it will certainly help. Better browsing: Endless hours spent surfing the web leads to large caches of old cookies and unnecessary clutter. Removing these can improve your web speed significantly. Disk space: Many of today's tablets and laptops come with very limited disk space, as the cloud becomes a more convenient method of storage. When your disk space is so limited, even a small number of junk files can seriously hamper the speed of your computer. TuneUp can help to organise what is needed and what isn't, freeing up more space for you. Performance: Not only does TuneUp remove the unwanted files that are clogging up your system, it also allows you to get rid of old apps and games that you haven't used in ages, giving your computer's performance an extra boost. 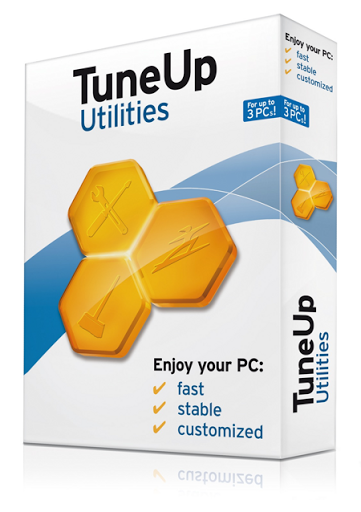 TuneUp Utilities' RRP is £29.99 and is available from Amazon or TuneUp.com. but I have three free copies to giveaway to readers today. All you have to do is tell me why you think it'd be useful and what a PC tune-up would help you to do. Leave a comment below between now and next Friday and I'll pick the winners at the weekend. Well, fear not Colin because - icon or not - you've won! And no, they didn't fall off the back of a lorry... Let me have your contact details (email on the PR tab above) and I'll do the rest. Well done! I'm sure it will Emma and anyway, you'll have a chance to test it out as you're one of the lucky winners - congratulations! Let me have your contact details (my email is on the PR tab above) and I'll do the rest. Sorry about that Steve. I'll do my best to get that changed.